This is where you will find samples of my work in the fields of journalism, publications, public relations and web/online media. Video I compiled and edited showcasing the previous season’s shows, with a teaser of the 2018-19 season. I also wrote and recorded the music bed for the 2018-19 preview section using GarageBand for iPhone. Video I shot with an iPhone and edited with iMovie of actor-comedian Jonathan Kite (TV’s “2 Broke Girls”) doing impressions to promote the play “The Nerd” at GSP. I also wrote and recorded the music bed using GarageBand for iPhone. Video I shot with an iPhone and edited with iMovie introducing the Joanna McClelland Glass play “Trying” to GSP audiences. I also wrote and recorded the music bed using GarageBand for iPhone. Video I shot with an iPhone and edited with iMovie introducing the Christopher Demos-Brown play “American Hero” to GSP audiences. I also wrote and recorded the music bed using GarageBand for iPhone. Slideshow video created with iMovie HD to feature reviews for GSP’s production of David Javerbaum’s comedy An Act of God, starring stage and screen legend Kathleen Turner. VIDEO: George Street Playhouse – “I Love You…” – The Reviews Are In! Slideshow video created with iMovie HD to feature reviews for GSP’s season-opening production of I Love You, You’re Perfect, Now Change. Video I produced to thank sponsors and patrons for supporting GSP’s 2016-17 season and teasing the 2017-18 season in the Playhouse’s new, interim home for two years. VIDEO: George Street Playhouse – Who Are GSP’s Bad Jews? Video I produced promoting the comedy “Bad Jews” at GSP. Created with iMovie HD. Video I produced promoting the musical “Daddy Long Legs” at GSP. Shot video of rehearsal performance on iPhone; edited/trimmed audio using GarageBand and Audacity; edited video with iMovie HD. Pitched story about artistic director’s 20th season at GSP that resulted in front-page story on Sunday issue of central New Jersey’s Home News Tribune (Gannett NJ). Slideshow video made with Windows Movie Maker using in-house marketing images; features music used with Creative Commons license and press conference recording of Marguerite Oswald, mother of Lee Harvey Oswald. Slideshow video made with Windows Movie Maker using in-house marketing images; wrote and recorded voiceover. VIDEO: ‘Ernest Shackleton Loves Me’ @ GSP – The Reviews are In! Slideshow video made with Windows Movie Maker using compiled still images and quotes from various theatrical reviews; edited/mixed two different pieces of music as audio bed. Promotional video made with Windows Movie Maker using still images and quotes from various theatrical reviews; edited/mixed two different pieces of music as audio bed. Slideshow video made with Windows Movie Maker using still images and quotes from various theatrical reviews. These are press releases, ads and fact sheets designed and produced for a computer company started by a friend of mine. 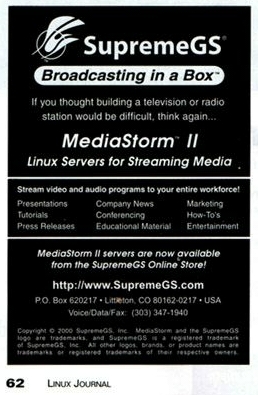 Without the use of any professional press release distribution service, SupremeGS press releases received placement in national publications like Linux Journal and 3D magazine. As a candidate for a position at MCCC in late September 2012, I was asked to prepare a 5-7 minute presentation focusing on one of three programs offered by the college. I selected the aviation program and prepared the following slide show and mini public relations plan. A Facebook post I created for a “season-in-review/next-season tease” video. A Facebook post promoting ticket sales for Kathleen Turner in “An Act of God” at GSP. One in a series of Facebook posts featuring Jean and Lou DiPietro — parents of “I Love You, You’re Perfect, Now Change” playwright Joe DiPietro — promoting an updated version of the musical at GSP in Fall 2017. A Facebook post showing the transition of GSP’s temporary venue from vacant exhibition space to an intimate, 190-seat theater. 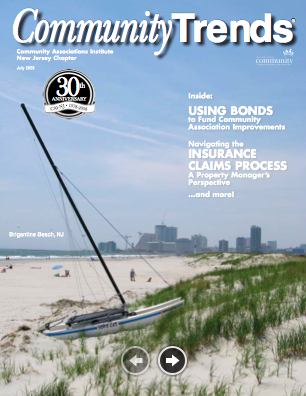 South Jersey Gas Atlantic City MGP Project – On behalf of H&G Public Affairs, I designed and developed this WordPress-powered web site for a South Jersey Gas project to remediate the site of a former manufactured gas plant in Atlantic City, N.J. The live site has since been updated. Rutgers VETS – On behalf of H&G Public Affairs, I designed and developed this WordPress-powered web site for a Rutgers Cooperative Extension of Essex County program to train and educate veterans in areas such as landscaping, greenhouse management, aquaponics and hydroponics. Below are screenshots of pages I created while Rider’s Web content coordinator from 2001-2003. 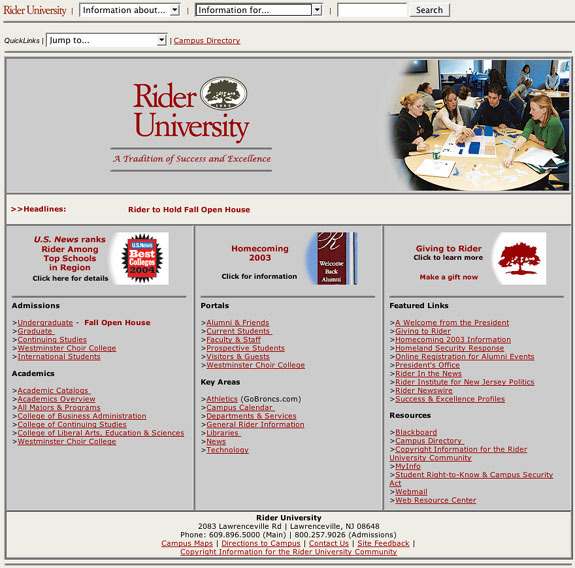 Rider University Home Page (2003-2004) – I designed this version of the Rider Web site’s home page after several meetings with the university’s Web Steering Committee. It was launched in early 2003 and was still in place as of the start of the 2004-05 academic year. However, a transition to a new site was underway at that time. 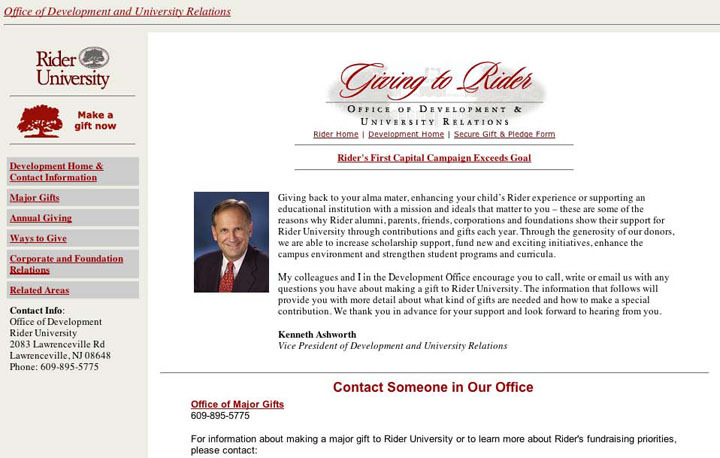 Rider University Office of Public Relations (2002) – I designed this site for Rider’s Office of Public Relations to give it more of a “publication” feel and to make it a bit more media friendly. It was launched in late 2002. 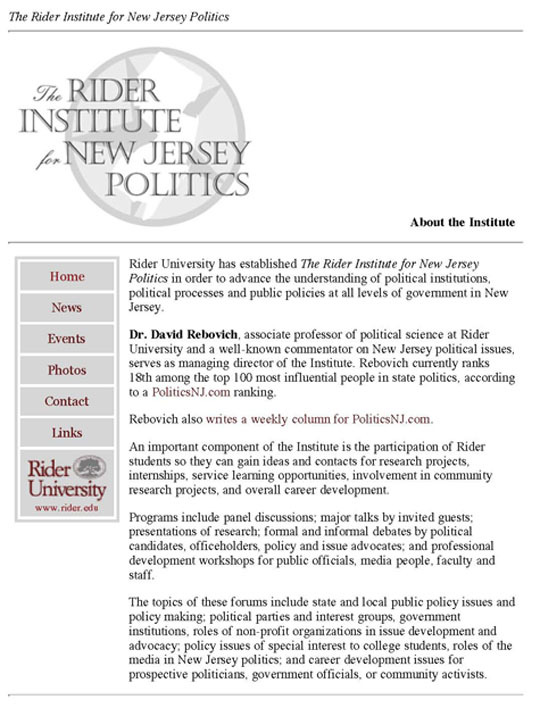 The Rider University Institute for New Jersey Politics – This area of the Rider Web site was constructed and launched within a 24-hour window. I found out about The Institute the day before the Office of Public Relations was to announce its creation—and that was only because my desk was located in the PR office. I was determined to at least get a minimal working web site dedicated to The Institute online in time for the public announcement and achieved that objective. Rider University Office of Development and University Relations – In late 2003, Rider had just completed a $55 million capital campaign, which had its own dedicated site. Much of that content was extracted, updated and enhanced for this general development site. I created the banner and put the content within a frameset dictated by Rider’s Web style guide at the time. Below are screenshots of pages I created for a now-defunct magazine. 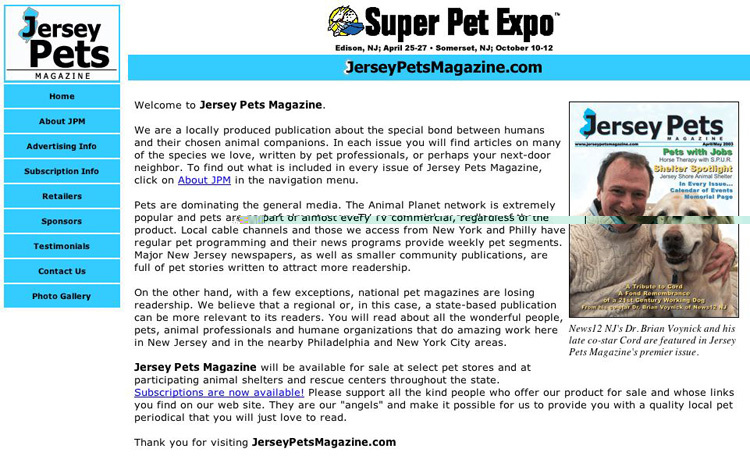 Jersey Pets Magazine (Version 1) – This is a screenshot of the first version of the Web site I designed for the now-defunct publication, Jersey Pets Magazine. This was launched prior to the publication of the magazine’s first issue. 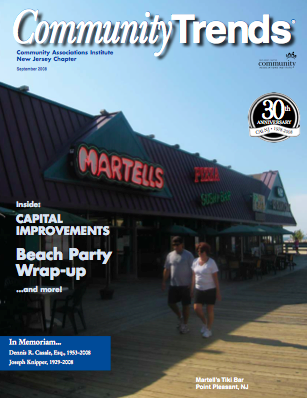 The color scheme was based on the front cover of the magazine and was changed throughout the site to match the front page color scheme for each subsequent issue. I also designed the magazine’s logo using Adobe Illustrator. 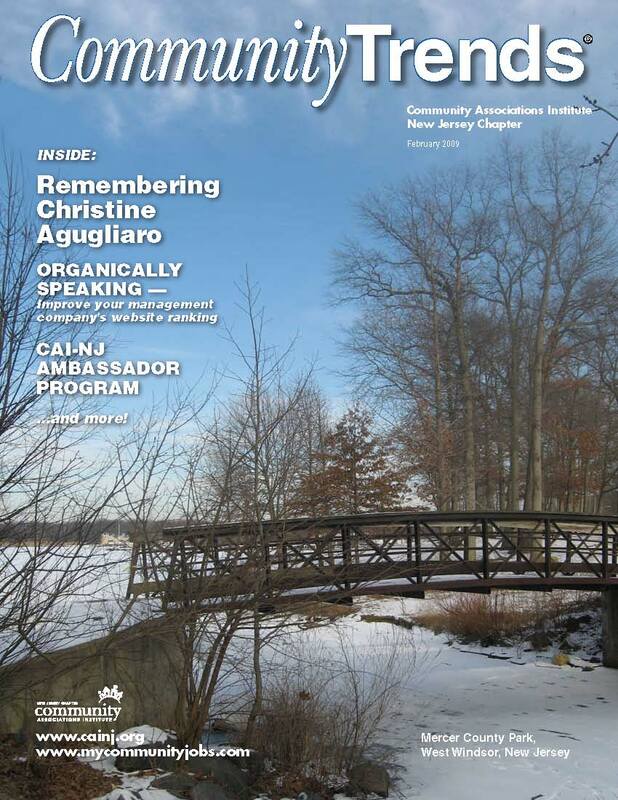 Jersey Pets Magazine (Version 2) – Here is a later version of the Jersey Pets Magazine Web site, which included the actual contents of the current issue of the magazine. 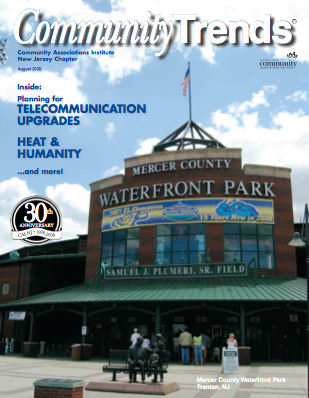 Pitched a story idea about ties between the Trenton/Mercer County, NJ area and the long-running sci-fi program Doctor Who for the 50th anniversary of the show in November 2013. The feature wound up running at the bottom of the front page of the Nov. 23, 2013, edition of the newspaper. Successful story pitch announcing the launch of my Technology and the Arts podcast in 2007.